Open your image in GIMP. This project uses a small coin. 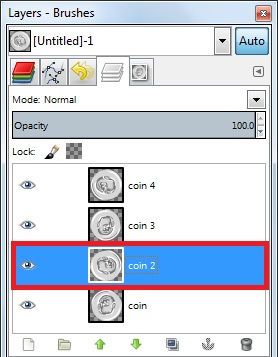 Create a minimum of three other duplicate layers by clicking the “Duplicate Layer” button on the Layers window. This will give you a total of four layers. Label each layer, one, two, three, and four. 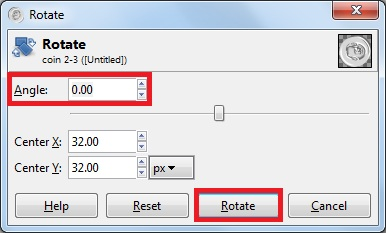 Click on the Rotate Tool in the Tool Box. Click on layer two in the Layers window. Click on the layer on the canvas. A new window will pop up. Set the angle of rotation for layer two to 90 degrees. Press “OK”. Click on layer three in the Layers window and click on the layer in the canvas. Set the rotation of this layer to 180 degrees. Press “OK”. Click on layer four in the layers window and click on the layer in the canvas. Set the rotation of this layer to -90 degrees. Press “OK”. Click on “File” in the menu and select “Export”. In the new window, save your image as a .GIF file. A new window will pop up again. 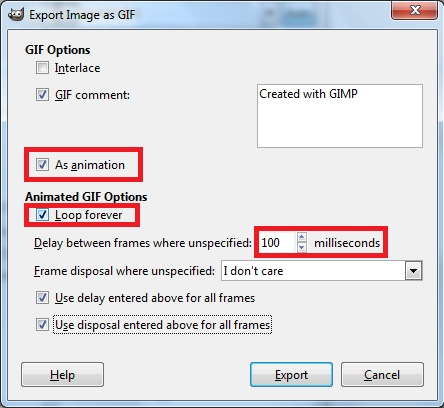 Set the GIF to save as an animation, and also set the form to loop forever. Set the delay between frames to 100 milliseconds. Set frame disposal to “One frame per layer”. Press the “Export” button to create the animation. When you want to see it in action, right click on the file to open it in a web browser like Internet Explorer or Chrome.